Link to 77 , 78 and 79 bus timetables for buses between Brighton and Devil's Dyke, Stanmer Village and Ditchling Beacon, respectively. The No 26 bus, departing from opposite The Jolly Poacher at 26, 46 and 06 minutes past each hour from Monday to Saturday between 10 a.m. and 6 p.m. turns into a No. 24 after it passes beyond Hollingbury ASDA Store. You may find it useful to check the live bus departure boards for the bus stop opposite the Round Hill pub. After Hollingbury ASDA Store remain on this No. 24 for another two stops. 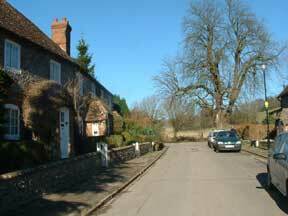 The first is Crowhurst Road. Remember to ring the bell as you approach the second, Old Boat Corner. This is in Coldean Lane just before the south junction of the northern section of Ditchling Road. The driver who last let me off here disclosed that it was only the second occasion that anybody had asked him for this little used stop. My previous driver's parting remark at this stop was "enjoy your walk!" 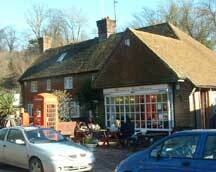 Note that there are amenities in the village, including Stanmer Tea Rooms and Public Toilets opposite. Bus 26/24 users: if walking to Stanmer Village from Old Boat Corner avoid walking along the narrow and busy Ditchling Road, which has no pavements. Instead, without crossing any roads, go back (west) down Coldean Lane (100 yards or two) towards or right up to the last roundabout taken by the bus. Keep well in. If you do not wish to retrace the bus journey all the way to the roundabout, it is possible to climb up the grass embankment on your right to the walkers' style before you get there. Otherwise, you can continue to the right (north) of the roundabout where you will find a gentler approach to the footpath. This footpath, which gets your right away from these busy roads, takes you (north-east) across the fields, ending a little way up the north section of Ditchling Road just opposite Upper Lodges. You will only have to cross the busy Ditchling Road once to start walking along the very attractive bridleway leading to the north-west entrance of the village of Stanmer. This bridleway takes you downhill for a distance of just less than one mile before reaching the village, where you will find public toilets and a tea / coffee shop. Unless it is a Saturday, Sunday or public holiday, you will then have to walk across Stanmer Park to find a bus - No: 25, 25A, 25B 25C from Falmer School on Lewes Road - (or train from Falmer Station) to complete the journey home. 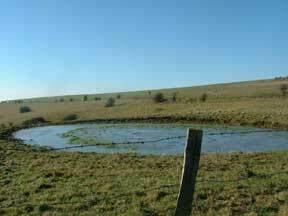 Can I leave the 79 bus before the terminus at Ditchling Beacon? 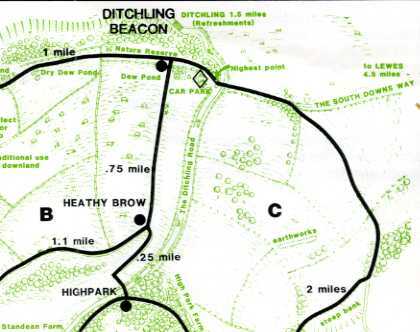 If you have small children &/or prefer to do a shorter circuit using a bridleway suitable for a pushchair, there is a bus stop at Upper Lodges - the picnic area and car park a short way along the section of Ditchling Road continuing from Coldean. 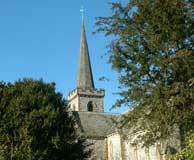 The bridleway, running west-east, offers spectacular views and a journey of less than a mile to Stanmer Village. 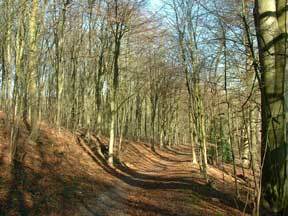 From Upper Lodges, there is also a footpath, running south-north, which follows the course of Ditchling Road towards the Beacon. 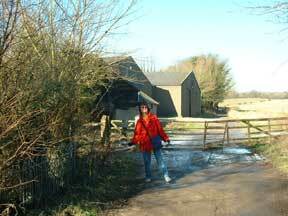 Do not walk along Ditchling Road itself since it is much safer on this footpath the other side of the hedgerow. 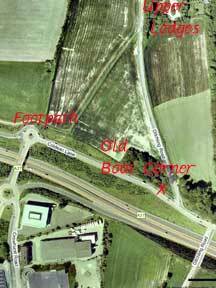 After one and a half miles you will arrive at Highpark. 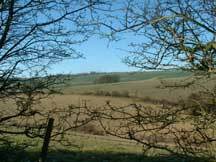 From there, turn onto the woodland path heading south-east to Stanmer Village, a further two miles of heavier walking. The bus driver may be willing to drop you off at Highpark. On this section of Ditchling Road, walkers can hail the bus to stop anywhere providing that it's safe for the driver to do so. 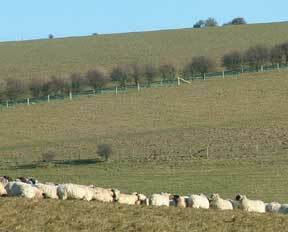 Really fit walkers can head east along the ridge of the Downs all the way to Lewes (a 6-mile trek). 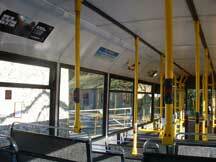 They can then take a 28 or a 29 bus from Lewes High Street back into Brighton using their Saver ticket. The ridge of the Downs is relatively flat, so the 6-mile trek to Lewes is only 50% more wearing than the 3-mile trek (downhill!) from Ditchling Beacon to Stanmer Village. Once through the clump of woodland, refer to the section of the map at the top of this page, and continue in a south-westerly direction towards Millbank. After a little more open walking, descending a steep bank, you will meet the edge of the forest just north of Millbank where the route follows a very attractive woodland path. This will eventually steer you in a southerly direction. You should notice some pylons when you get to Millbank. 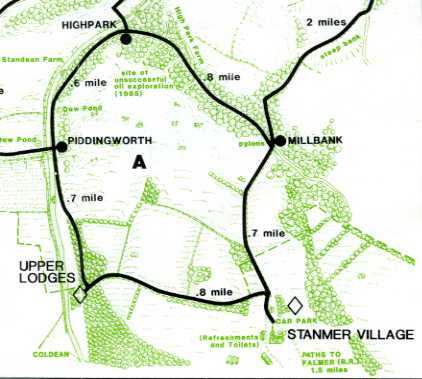 You will need to turn off (to the south west) for the final descent (curving back southwards) to Stanmer Village. The barns mark the north end of Stanmer village. Proceed south into the village, passing the end of the bridleway (by the pond) leading back up to Upper Lodges near the Coldean end of Ditchling Road. The 79 bus back to the Round Hill passes the bus stop at Upper Lodges at 49 minutes past the hour. Round Hill residents are likely to be no strangers to Stanmer Park and will know that a choice of buses and Falmer railway station are not too far away. You are not limited to the above service to get as far as Stanmer Park. Buses containing the number 25 run daily to the south-east side of the park. You may find it useful to check the live bus departure boards for the bus stop by Lewes Road Sainsburys.